Mohammad Hossein Zibayi-Behzad was born in 1955 in the city of Shiraz. He has held various positions of authority in the state’s intelligence and security agencies. While occupying various positions of authority in the state’s intelligence and security agencies, Mohammad Hossein Zibayi-Behzad has violated human rights by becoming involved in the suppression of dissent, by arresting and threatening protesters, journalists, civil society and political activists, and ethnic and religious minorities. 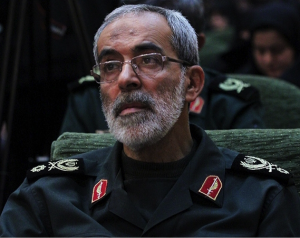 As the Commander of the IRGC’s Sarallah, Zibayi-Behzad is responsible for the violent suppression of at least 300 students, when forces under his command attacked University of Tehran dormitories in July 1999.